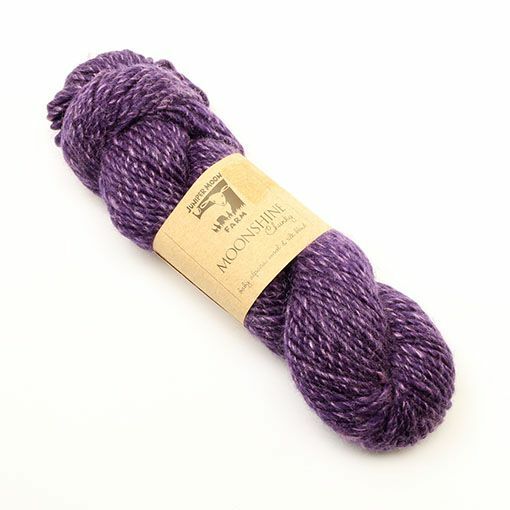 Juniper Moon Farm Moonshine Chunky is a chunky to bulky weight single ply blend of wool, alpaca and silk. Each of the three fibers interprets the dye in its own unique way creating a skein of semi-solid heathers. The wool will provide warmth and memory, the alpaca will provide softness and loft, and the silk will provide drape and sheen. Moonshine Chunky is a great yarn option for bulky weight garments and cuddly cold weather accessories.